Desire contains nature's most potent aphrodisiacs. It unfolds with lu.. Desire contains nature's most potent aphrodisiacs. It unfolds with luscious Moroccan jasmine, smoky Australian sandalwood laced with cacao - the key ingredient of dark chocolate. And Jane sprinkled in a few precious drops of ancient, exotic oudh - perhaps the world's most rare scented oil.Click here to check out celebrities that selected Desire. To see Desire in magazines click here.Jane's inspiration: Jane's love affair with jasmine began when she moved to Marin County, California from Chicago. She become obsessed with the intoxicating aroma that filled the evening air. Sweet, slightly tropical and unlike anything she had smelled before. Jane took evening walks searching for the source of this aromatic nirvana. Desire was one of Jane's first perfume creations.The ingredients of Desire are known to support the sacral chakra. 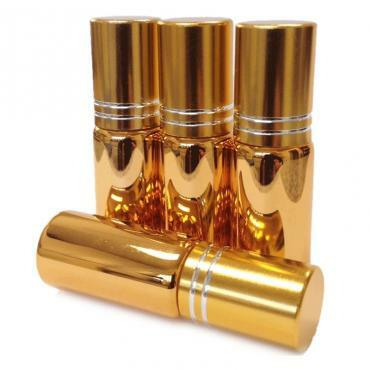 So if you are considering a perfume oil roll-on, we suggest carnelian. Carnelian vibrates with the very same energy as the plant oils contained in the formula. To..
Aphrodite begins her seduction with enchanting vanilla - which moder..
Aphrodite begins her seduction with enchanting vanilla - which modern science says is nearly irresistible to men and women. Next she shares sacred Ethiopian myrrh reputed to be the tree from which her beloved Adonis was born. 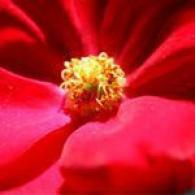 Her heart comes from nearly 10,000 petals of heirloom Damascan rose from Bulgaria, Turkey and Morocco. Her base is an intoxicating aphrodisiac musk. The formula is said to be a complex alchemist's secret with powerful, cupid-like effects.Click here to check out celebrities that selected Aphrodite. To see Aphrodite in magazines click here.Jane's inspiration: As a tribute to her strong and inspiring female friends, Jane crafted a series of 'goddess' scents. Aphrodite, the Greek goddess of love and beauty, was one of her first goddess blends. The roses in the scent are from heirloom root stock that was first planted hundreds of years ago when - it is said - Aphrodite forever stained them with her blood as she ran to be beside her dying lover A.. Passion is a sultry floral oriental blend with rich blood orange and.. Passion is a sultry floral oriental blend with rich blood orange and a gentle touch of soft bergamot, embraced by red Turkish roses and heady white magnolia bathed in rich seductive musk.Click here to check out celebrities that selected Passion. To see it in magazines, click here.Jane's inspiration: Every Valentine's day, people exchange millions of beautiful roses. Did you know that 90% of the country's roses are grown just a few miles from Ajne? Passion is a tribute to rose melded... passionately with just enough distractions and interest to make it irresistible. See for yourself!The ingredients of Passion are known to support the sacral and heart chakra - so if you are purchasing the perfume oil, we recommend the orange carnelian stone. Carnelian magnifies the vibrational energy of the plant oils contained in the formula to inspire creativity and attract fun and romance.Contains: Our proprietary fragrance composition of 100% natural essential oils and abs..